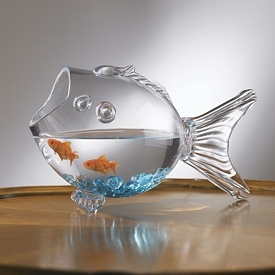 devotions « Living Life in a Fish Bowl! What does it mean to you when Jesus says to take up your cross? To follow Him? Hope is a powerful thing. Just look at someone who feels hopeless and then look at someone filled with hope – you will see a drastic difference. Maybe today you are low on hope. Maybe you find yourself in that place of hopelessness. Maybe life has kicked you in the teeth one too many times. Maybe you have forgotten that God is greater. If that is you then I encourage you to read Ezekiel 37 today. Dry bones (representing the people of Israel) were scattered everywhere. All hope was gone. In verse three the Lord asks if the bones could become people again? The answer of course is yes. With God all things are possible. A rattling noise begins to happen as the bones began to attach to each other. Then muscles, flesh and skin covered the bones. However, the bodies had no breath. “The Lord God says: Come from the four winds, O Spirit, and breathe upon these slain bodies, that they may live again.” Ezekiel 37:9 The bodies began breathing and there was a great army standing. When we try to do things on our own strength, when we allow stress and deadlines to knock the wind out of us, when we take our eyes off of Jesus – we become like dry bones scattered across a valley. Today breathe in the breath of God. Allow Him to fill you to overflowing with hope. (Romans 15:13) Renew your trust in Him. He is able! dry bones brought to life! If someone would list four things that describe you – what would it be? I have always been fascinated with how God describes Job. If you are familiar with the story of Job you know that he goes through a trial like no other. He lost all oxen, donkey, sheep, camels, servants, sons and daughters and finally suffered boils from his head to his feet. His wife was of no help. Three friends showed up to sympathize and comfort him but their method was anything but comforting. Yet we find Job declaring this profound truth. In the midst of suffering, Job holds on to his Redeemer. He holds on to God. What four things would describe you? Me? What do we do in the midst of suffering? I am certain that we all, at one time or another, have had our priorities messed up. It can be easy to get distracted. Maybe you don’t want to disappoint someone so you say yes when you know you should say no. Too many of those moments and you will find yourself frustrated. You might even want to blame someone else. Yet, we are responsible for our own choices. What does God’s Word have to say about choices? Plenty! It is clear that we cannot do all the things that we want to do, nor all the things others would like us to do. I find that fulfillment comes when I seek to do those things God has planned for me to do. His grace is enough to do all that He calls me to do. The problem comes in when I am trying to do more – or do something other than what He intends for me to do. I want to do it all — all that God has planned for me. Read the Word. Study the Word. Pray and ask God for direction. I want to make the best use of the time and energy that I am given. This requires being intentional about what I spend my time doing. When I set my priorities to line up with God’s leading, I can relax and focus on what is at hand. I can walk in His peace even in the midst of difficulties.